Ingrown hairs are the thing which everybody wants to get rid of. How long do ingrown hairs last? How can we remove them quickly? This article will show you the answer to the question ‘How long do ingrown hairs last?” and the other information you need about ingrown hair last. 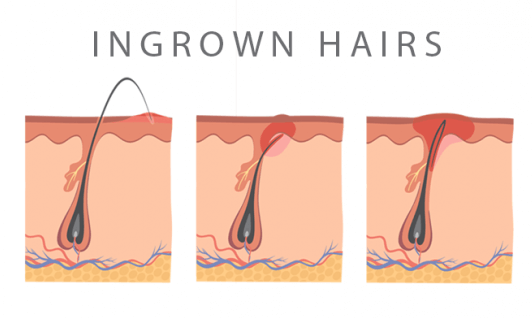 Ingrown hairs mean the hairs don’t grow out of the skin, but they go into the skin. We have many reasons cause ingrown hair like curly hair or shaving hair too short. Will ingrown hairs go away? They don’t stay forever. Unfortunately, we may need from some days to some weeks. We can have several tips to get rid of them quicker. Some factors can affect the time which ingrown hairs last. Where are the ingrown hairs? Depending on the site, the ingrown hair may last shorter or longer than usual. Where the skin can breathe and be easy to clear up the ingrown hair will go away quicker than other. For instance, your arms just need a few days to the ingrown hair go away, while your armpits may take several weeks. If you have oily skin, your pores are easy to block and build up ingrown hair. However, if you have dry skin, you get irritation and itchy when waxing easier than oily skin. Both types of skin have advantages and disadvantages. Maybe, the oily skin will have a longer time to get rid of ingrown hairs. How to care and exfoliate your skin? Last but not least, another thing effect on “how long do ingrown hairs last?” is you caring and exfoliation. When your skin is clear and care every day, the ingrown have will be easy to grow natural and less chance of infection. How to remove the ingrown hairs? You can use sugar as a natural exfoliated thing. We have white and brown sugar. You should use brown sugar for skin care. Sugar will help to remove the dead cells so that the ingrown hairs are easy to grow out. It also helps on improve your texture skin and get rid of blackheads. You can only use sugar, or you can mix sugar with some oils. Take enough sugar as you want. Then mix with olive or coconut oil to be a paste form. You can add some drops of tea tree essential oil. Apply it to the ingrown hairs areas. Massage with circular motions in a few minutes. Rinse your face off with fresh water. Don’t forget to moisturize your skin. This method should do once to twice a week. If you do it so frequently, your skin may get irritation. You can use baking soda to whiten your teeth. Also, baking soda exfoliates your skin so that you can use it to removing the ingrown hairs. Mix baking soda and rice powder and water. Apply to your ingrown hairs sites. Gently massage for three to five minutes. Use lukewarm water to wash your skin. Baking soda can make your skin thinner, so you should protect your skin from strong sunlight. This shedding can do twice or three times a week as the other exfoliated method. If your skin is redness or itchy, you should choose another method. Teat tree oil contains antiseptic, anti-inflammatory and antibacterial properties. Thus, it helps to heal skin and reduce infection. You can mix tea tree oil with yogurt to make a mask. First clean your skin then apply this mask to the needed area. Leave it about ten minutes until it dries. Rinse it off with lukewarm water. Do this method daily until you can pull the head of ingrown hairs. Aspirin is a nonsteroidal anti-inflammatory drug which can relieve pain and reduce inflammation. Take a tablet then grind it off. Mix with water to be a paste form. Apply it to the ingrown hairs sites. Wait about ten to fifteen minutes and wash it off with water. This method can use for pimples too. You should do it twice a week for the best result. Saline solution is used in medicine to change wound dress because it can clean the wound and doesn’t irritate the skin. You can use salt water to take a shower to get rid of all bacteria. Moreover, salt can exfoliate skin to get rid of the dead cell. Thus, it helps ingrown hairs go away easier. You can put salt on shower water every day. Scrub the salt directly on body and massage gently to clean it. You should use small salt type to avoid damage your skin because the large grain salts are hard and sharp. You should moisturize your skin after exfoliation with salt. How to prevent the ingrown hairs last? If your skin is full of dirt and dead cells the hair follicles can be blocked, and the hairs are natural to curl and grown inside. Thus, exfoliation is a great way to prevent ingrown hairs. If you shave the hairs too short, it can be ingrown hairs because the hair will grow under the skin surface. Before you wax your hair, you should make sure that its area cleans. If not, the skin will is itchy and irritated. 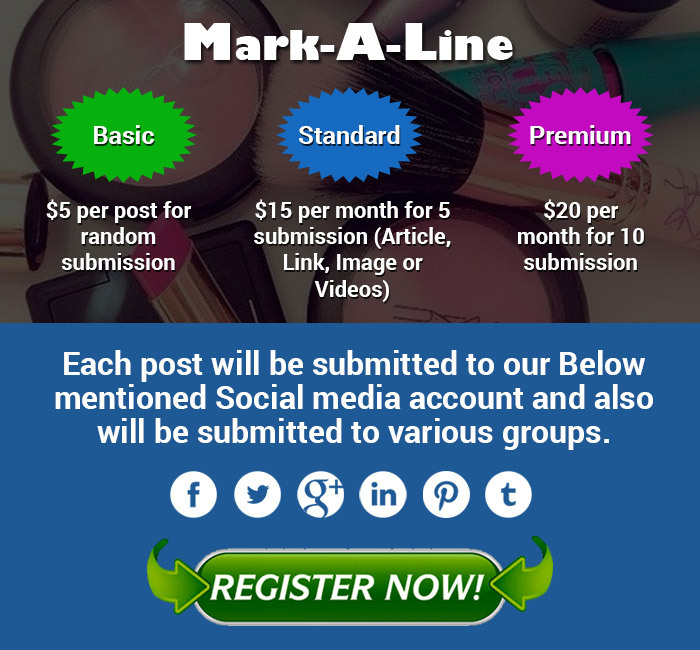 Some beauty products can block the pores which lead to ingrown hairs and pimples. You should choose non-comedogenic products which don’t clog your pores. Before using any products, you should check in a small area whether it is irritated or not. In conclusion, it’s hard to answer accurately “How long do ingrown hairs last?”. It can last for days or weeks. Depending on how you treat them. You should have a right method to treat and prevent ingrown hairs.